A wildlife passage could protect turtles on a deadly stretch of road in Eliot, but the project could be upended by legal delays. 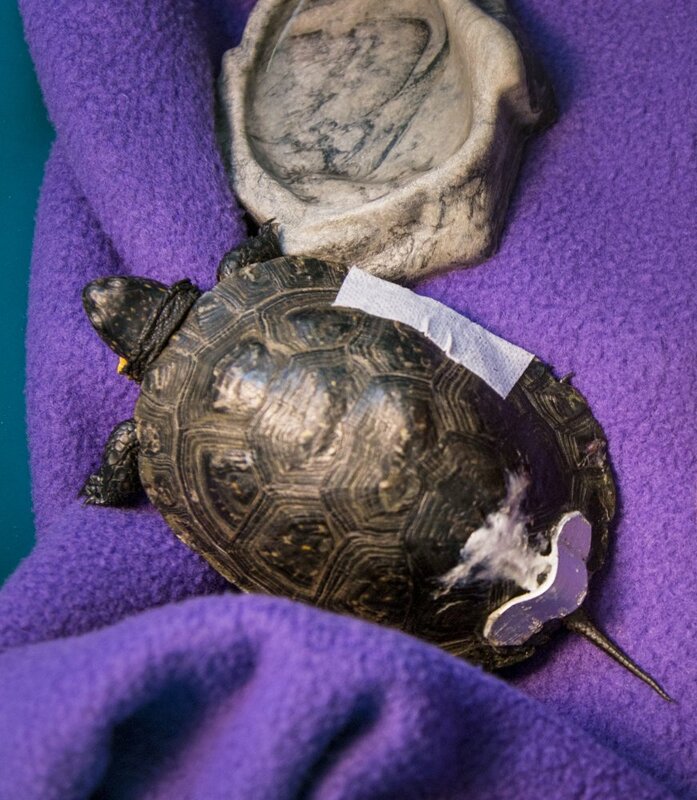 The little turtle’s shell is about the size of a human hand, and fractured in two places after being hit by a car three weeks ago. Now recovering, she is battered and bandaged, but can move her legs and stretch her head out, exposing a brilliant yellow throat. If she recovers, the young Blanding’s turtle could be released into the wild and reach breeding age, sustaining a dwindling population in southern Maine. 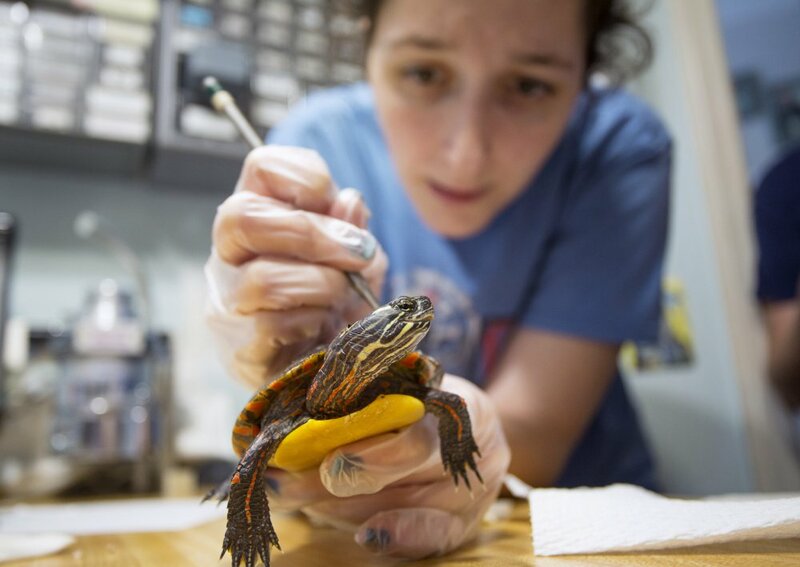 The turtle, known only by her patient ID – r-62-17 – is one of 2,000 reptiles and birds treated at the Center for Wildlife in York this year. Most are hit by vehicles, the top threat to Blanding’s turtles, which are designated an endangered species by the state. Wildlife biologists want to protect the species with roadside fencing and a wildlife passage – a turtle tunnel – to link a wetland area bisected by a deadly section of Route 236 in Eliot. The unique project is partly funded by the Maine Turnpike Authority, which has agreed to contribute $170,000 as part of its plan to build a tollbooth plaza in York, about 8 miles away. The money is a windfall for cash-strapped efforts to protect endangered species on Maine roads, said Derek Yorks, a reptile biologist at the Maine Department of Inland Fisheries and Wildlife. However, the turtle-saving effort could be delayed by a legal battle between the town of York and the turnpike authority over an environmental permit for the tollbooth. The authority may decide to stay construction and withhold funding while an appeal drags through the courts, said Executive Director Peter Mills. “It is a bit uncertain at this junction if we would be paying (for the wildlife passage),” Mills said. The tunnel is planned on a half-mile segment of Route 236 notorious as a wildlife kill zone. The road divides a large, shallow marsh spiked with cattails surrounded by fields and mixed forest. It’s ideal habitat for turtles and other species, except that to travel between feeding, mating and nesting areas, animals have to cross a high-speed straightaway used by approximately 16,300 vehicles a day. The result is gruesome. On one day in July, Yorks said he counted at least 40 dead painted turtles on the side of the road. For Blanding’s turtles living in the marsh, the road is an existential threat. The species lives up to 80 years, but females don’t become sexually mature until they are at least 14 years old and eggs are vulnerable to predators. It can take a female turtle decades to successfully reproduce an offspring. That makes for tiny populations susceptible to any loss, and threats to the species – habitat loss, capture for pets, and road deaths – are mounting. Yorks guesses there are 1,000 turtles, or fewer, in Maine. “As soon as you start losing adult turtles, you start to see that you will have a downward trend in the population,” Yorks said. Blanding’s turtles are further vulnerable because they range up to a half mile each year, crossing the road multiple times. In the last four years, Yorks has documented six dead Blanding’s turtles along just that small stretch of road. “If you have 30-35 adult Blanding’s turtles and you lose only two a year, you are headed for local extinction,” he said. Many of the animals that survive a crash on the road end up at the Center for Wildlife, a rescue and rehabilitation nonprofit in York. “Route 236 is definitely a hot spot, one that has been on our radar for a long time,” said director Kristen Lamb. Wildlife rehabilitators do what they can to heal and release injured animals. 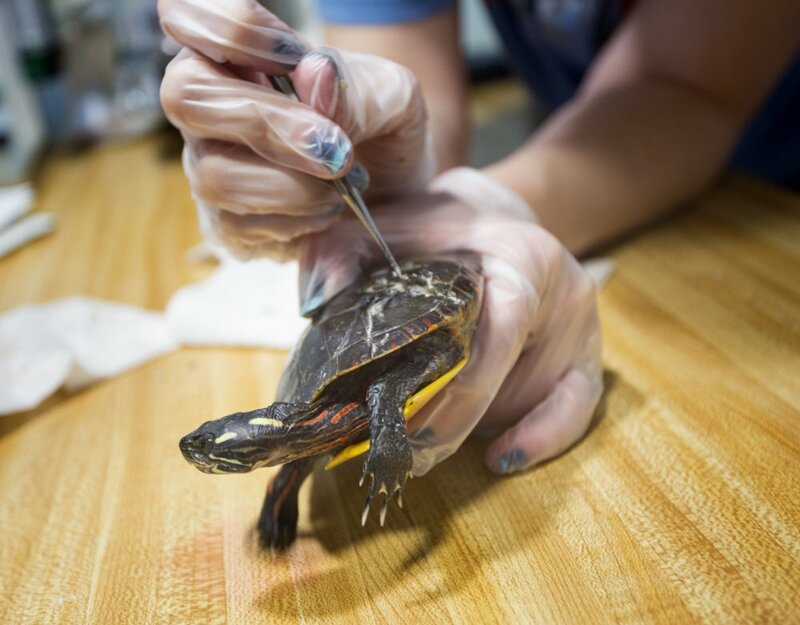 For turtles, that means cleaning a shell fracture and applying SSD, silver sulfadiazine, an antibiotic ointment to fight infection while the shell regrows. Even if turtles are badly hurt by a car, they can recover but more often die. Of the approximately 70 turtles rescued this year, only 12 have been released. More than half died or were euthanized. 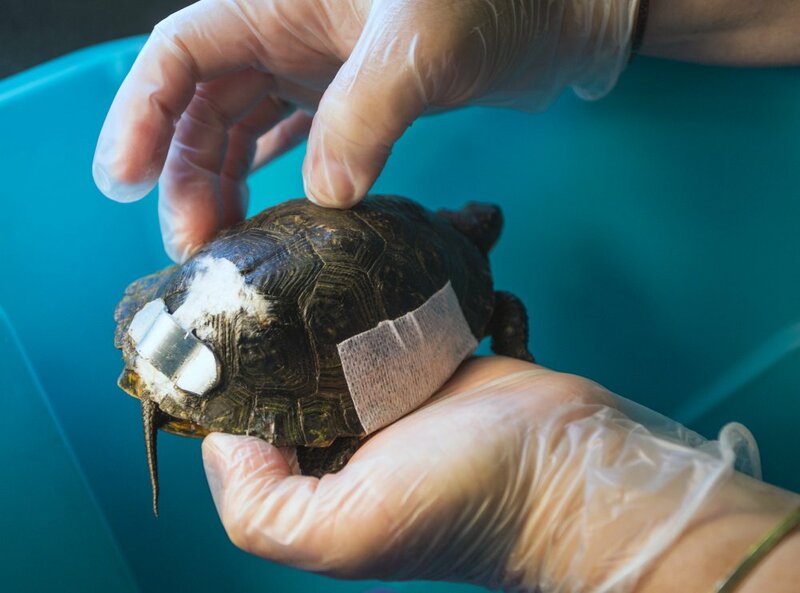 The true number of animals struck on Route 236 is unknown – a Blanding’s turtle rescued there this summer had at least two scars from previous shell fractures, Lamb said. “Amazingly, it healed in the wild without medical care,” she said. 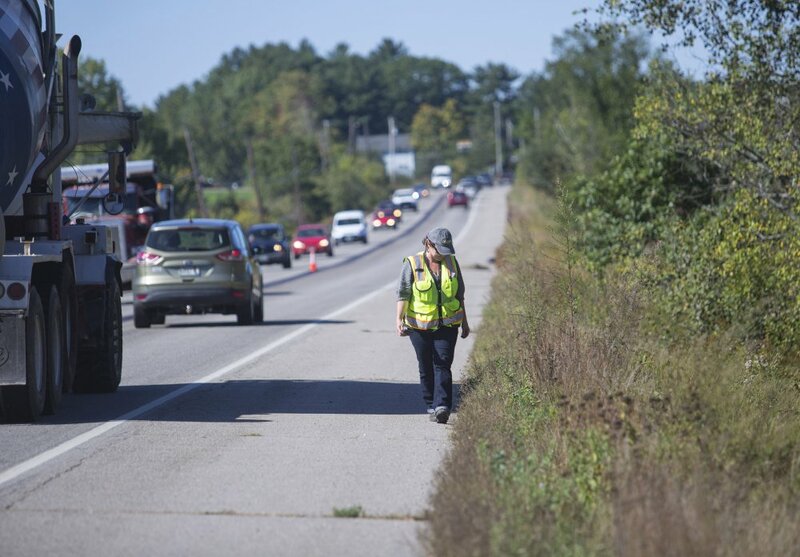 Maine wildlife and transportation officials have wanted to address the killer road for years but didn’t have any obvious means. The center didn’t have the funding to build the passage on its own, and there were no pending highway projects where the passage could be appended during construction. 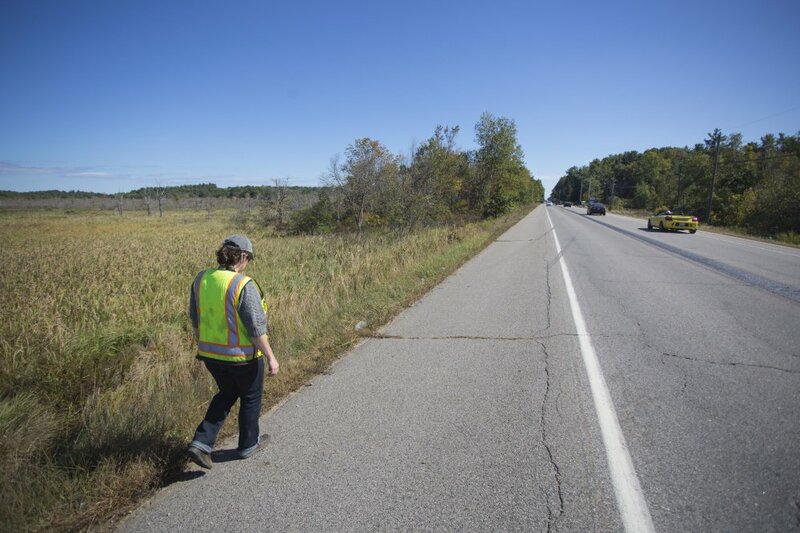 Last year, however, the Maine Turnpike Authority agreed to fund $170,000, about half the project cost, as part of environmental mitigation for displacing 1.4 acres of wetland during construction of a new $40 million tollbooth in York. A mitigation plan includes conserving 22 acres of wetland and installing wildlife fencing near the new toll plaza. 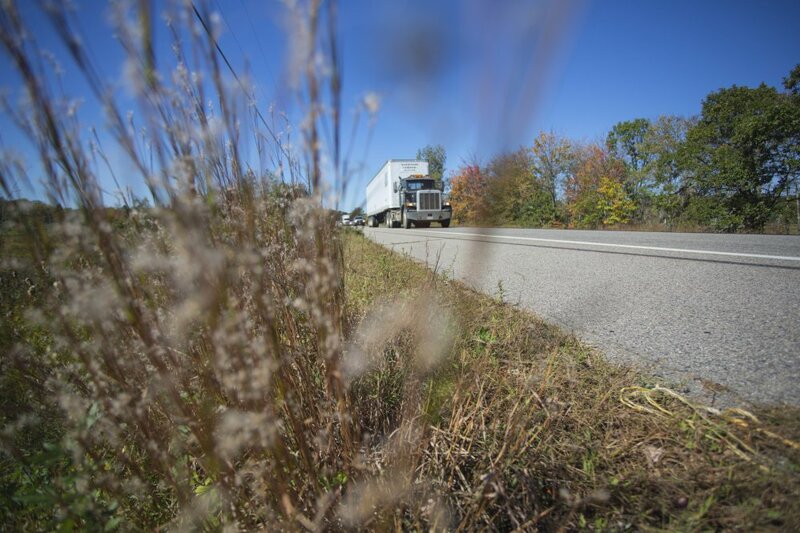 The state plans to install 4-foot-high chain link fencing along the roadside to prevent animal crossing and a tall, wide box culvert underneath the road so animals can travel safely across. The estimated cost is $300,000 to $400,000. Fencing might be installed this fall and the tunnel within two years after the turnpike makes its contribution, said Judy Gates, director of the Department of Transportation’s environmental office. But that timeline, and the entire project, may be in jeopardy because of a legal fight between the turnpike authority and York. Residents and town officials have fought the proposed tollbooth for years, concerned about noise, light pollution and environmental damage. Opponents contend the turnpike authority’s plan to have cash and electronic tolling is unnecessary, and an all-electronic tolling plaza would be cheaper and less disruptive. Selectmen last Monday voted to appeal the project’s environmental permit in Superior Court. The town will argue the turnpike authority used an outdated report to justify its proposal and the Department of Environmental Protection didn’t look seriously at an all-electronic alternative, said Scott Anderson, an attorney with Verrill Dana representing the town. If the lawsuit prevails, the turnpike authority would not have to follow the mitigation plan or pay for the turtle passage. In any case, the project is likely to be delayed, Anderson said. “Most permit holders would wait until legal appeals are resolved before moving forward,” he said. Yorks, the wildlife biologist, said the turtle tunnel would be the first of its kind in Maine, and one of only a few in New England. While the tunnel and fencing won’t provide total protection, it can shelter Blanding’s turtles and other threatened animals, like spotted turtles and the New England cottontail rabbit, as well as common species like painted turtles, foxes and beavers. If it is completed, the department plans to monitor the crossing closely and see what effect it has on wildlife mortality and local endangered populations. That research may prove valuable for road planning and other protection initiatives, in Maine and elsewhere, Yorks said.